Nahela Morales is a mother of one, currently living in New Jersey, USA. 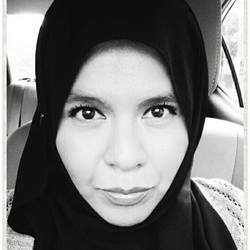 She serves as the National Hispanic Outreach Coordinator for "WhyIslam," a dawah project of ICNA. Morales’ efforts also go beyond U.S borders: She recently led a trip to bring Islamic literature, food and clothing to her native country, Mexico. She recently visited the city of San Cristobal de Las Casas in the State of Chiapas with Ustadh Nouman Ali Khan, home to a growing number of indigenous converts to Islam. Morales, who was born in Mexico City but currently resides in New York, is part of a growing population of immigrant Muslim converts from Latin America – many of them women – now helping to bring the religion back to their home countries.